YKP (Young, Keen and Penniless): Photo BTS Sunday!! So here’s the first of the series. 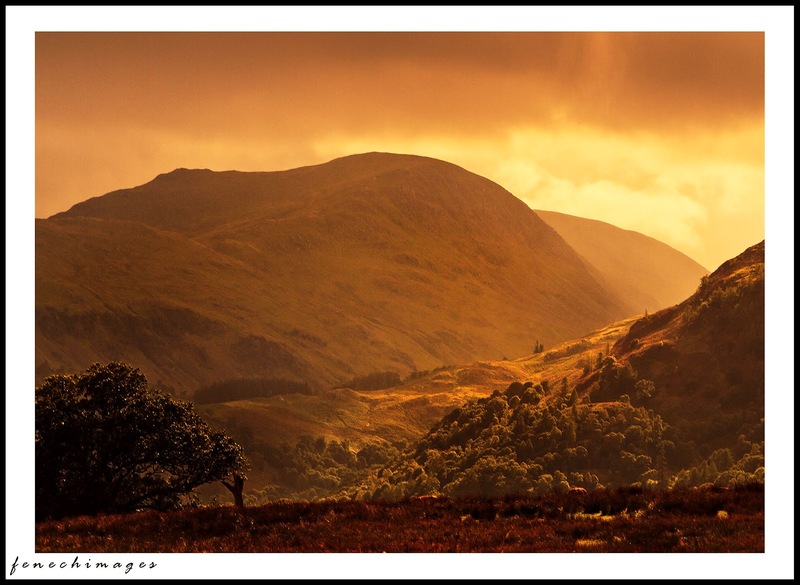 This image was shot only a couple of weeks ago in the Lake District, near Ullswater. The hill is actually known as Round How and forms one of the shores of Ullswater itself. I was standing in a field near the entrance to the path leading to the waterfall Aira Force, which is the main thing we’d come to see. I took some images in this direction on the way in but none were exceptionally awe inspiring. After visiting the waterfall however, when we passed the same spot I noticed that the light was significantly warmer and that there was a slight mist hanging over the valley. Since the plan was to head home (we had a long drive ahead!) I didn’t really have much time to set everything up again and so had to commit to the cringe-worthy task of resting the camera on a wall, which was far from stable. I had my tripod with me but it had walked off along with a family member and was already half way back to the car! I shot a quick series of images, varying the focal length as I went. I immediately knew that the tree in the foreground had to be part of the composition and by using the long end of my 17-85mm zoom (which works out as 136mm in 35mm terms) perspective was compressed slightly which firmly placed that tree into the scene, providing a sense of depth. The rain clouds were rolling in which gave that biblical sky and the mist picked up the colour of the light, bathing the landscape in a golden glow. The painful thing was I could foresee things getting even more dramatic in the following 30 minutes or so, by which time I knew I’d be back in the car and driving away from it all! However, after about 10 minutes the light started to fade and that rain became the dominant feature of the scene, which acted as a strong motivation to pack up and move on. I had my camera set to Cloudy White Balance but when reviewing them later the colours didn’t seem as warm as I remembered them so I increased Colour temperature in Camera Raw and added a little Magenta using the Tint slider. This shot was more about luck than careful planning. Where possible I love to be able to plan everything before a shoot, but I think that’s more to do with peace of mind; sometimes a scene just presents itself and you have to work quickly to catch ‘the moment.’ Looking at this picture you’d think the light was a gift from heaven but it was actually very short-lived and we barely made it to the car without getting soaked. As always say, the Lakes isn’t the Lakes for nothing…all that water had to come from somewhere! Ok so there you have it, the first Photo BTS (which, I admit, does sound a little like a fungal infection) and hopefully I’ll keep on track and rack out a few more over the next little while.